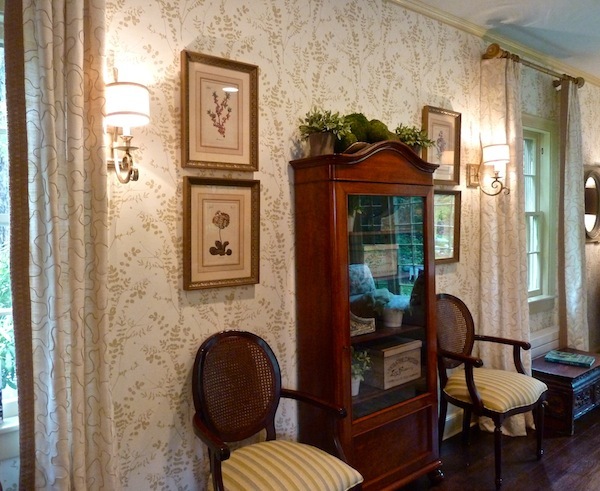 We continue with our look at the lovely Garden Rooms by Design showhouse at the Bartlett Arboretum, where the botanical theme of the event reminded visitors how connected we are to nature and the outdoor world. Merging exterior and interior spaces is an important direction in design these days with many companies producing beautiful fabrics and furniture that can be used in either venue. 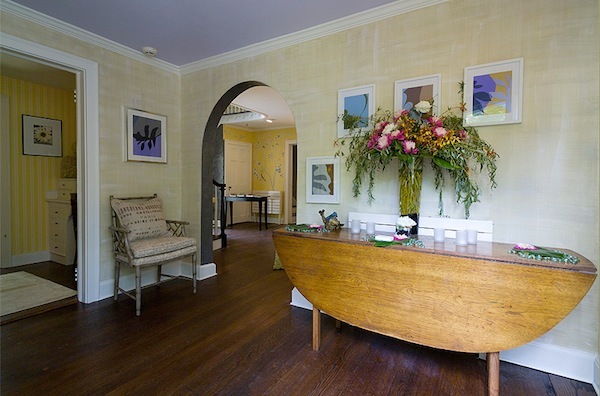 In the small original foyer of the house, Liza Cousins created a lovely subtle decorative striae on the walls and pale lavender on the ceiling that segued perfectly from the grand foyer to other surrounding rooms. 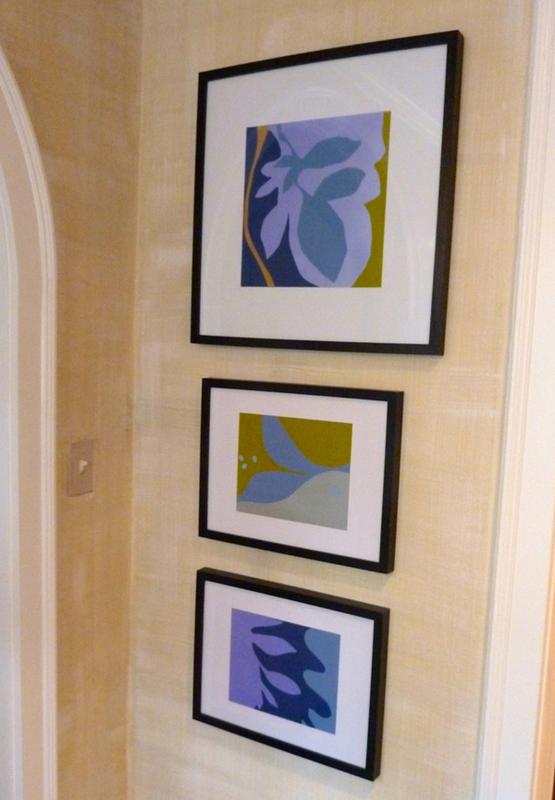 Her Matisse-esque art added a fresh garden themed graphic appeal to the space. Off this foyer was the main floor powder room. 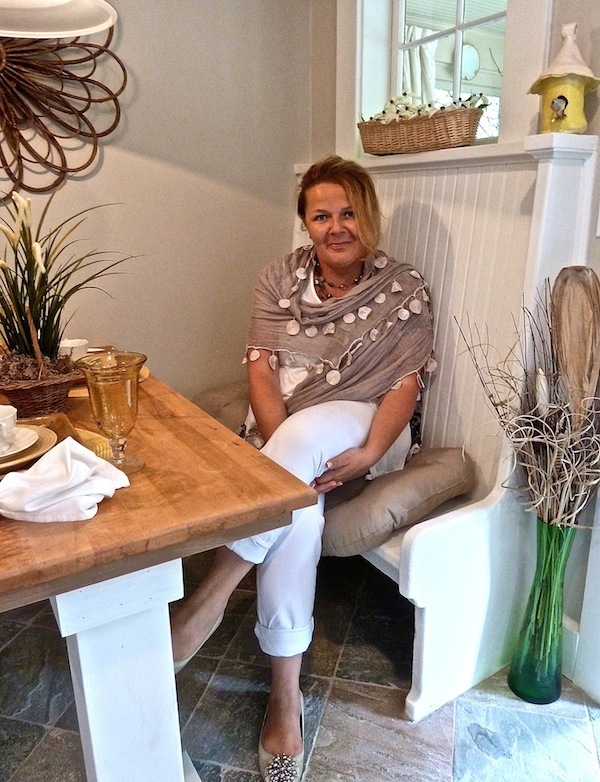 Encompassing two small spaces, designer Debbie Christman (below right) literally brought the outdoors in by incorporating her own teak garden bench. 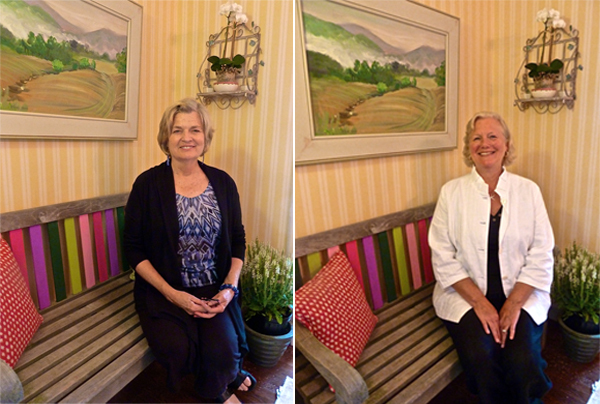 She then enlisted local artist Eileen Grace (below left), whose original painting hangs above, to paint the slats in a bright palette to compliment the colors in the Cowtan and Tout patterns on the pillows. 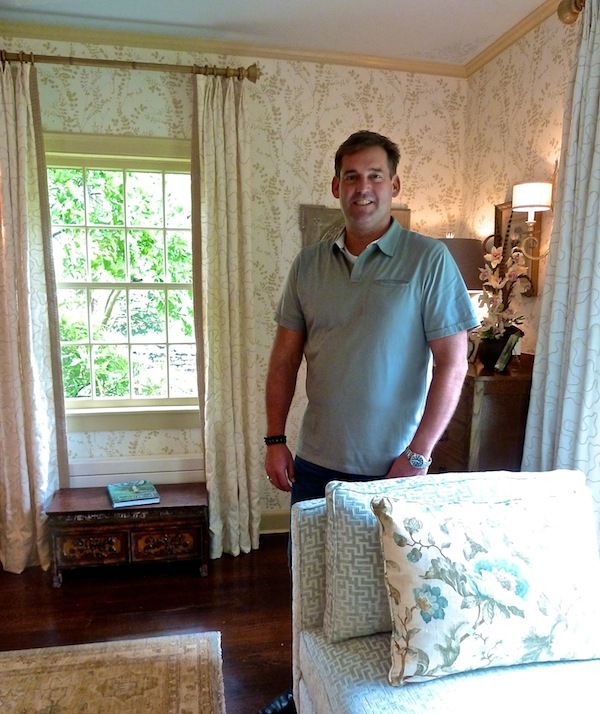 “Bringing the outdoors in, for the Bartlett Arboretum show house was such a fun and creative project. 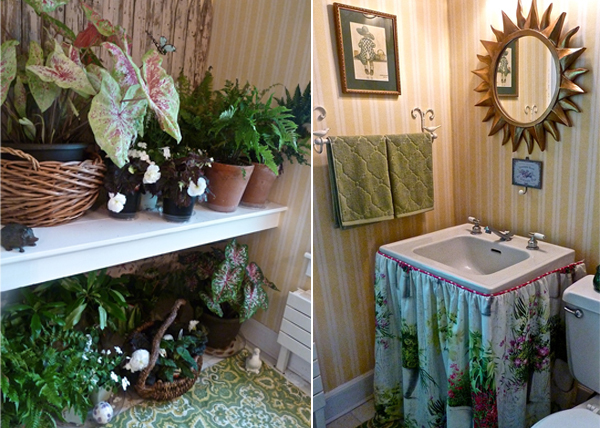 We decorated the powder room and bathroom to have a colorful and inviting warm atmosphere with soft yellows, bright pinks and greens, and antique picket fencing.” Flowers from Nielsens’, my local florist, and the beautiful new Manuel Canovas pattern on the sink skirt offered fresh natural inspiration. A botanically inspired wallpaper by Harlequin and soft paint colors by Farrow & Ball set the stage for the eclectic mix of antiques and contemporary accessories. Fabrics from Kravet, Robert Allen and Pollack were artfully combined to create a quiet yet elegant mix of pattern and texture. 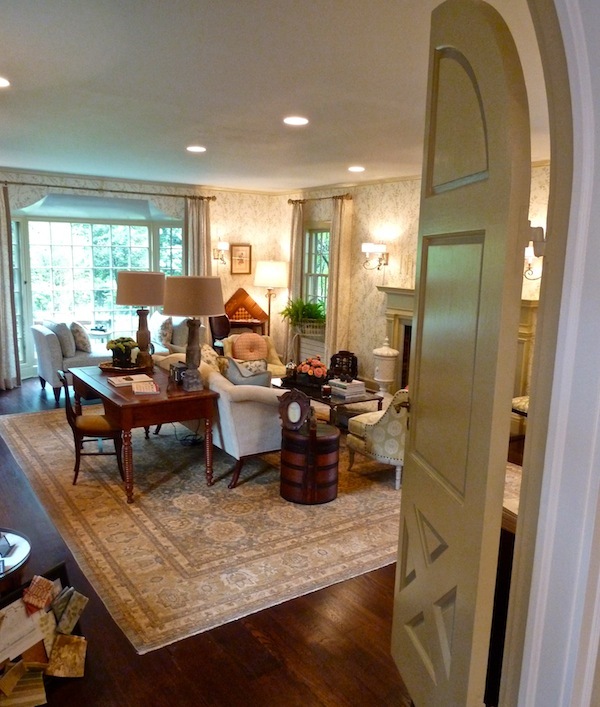 “I wanted to show the flexibility of transitional design style in the space. 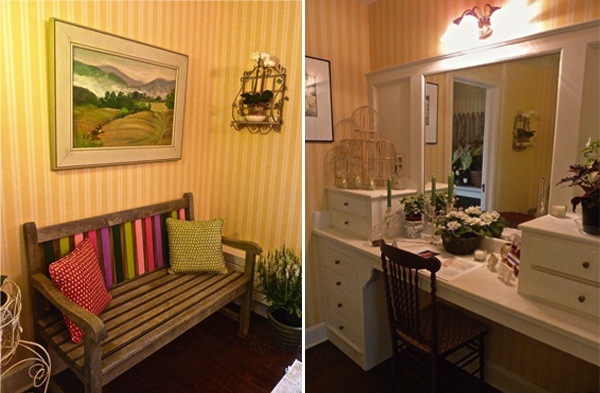 I wanted to show how you can comfortably mix sentimental pieces and found objects with fabrics, colors and materials of today for a truly eclectic yet unified and homey look.” I think Watson accomplished this admirably. 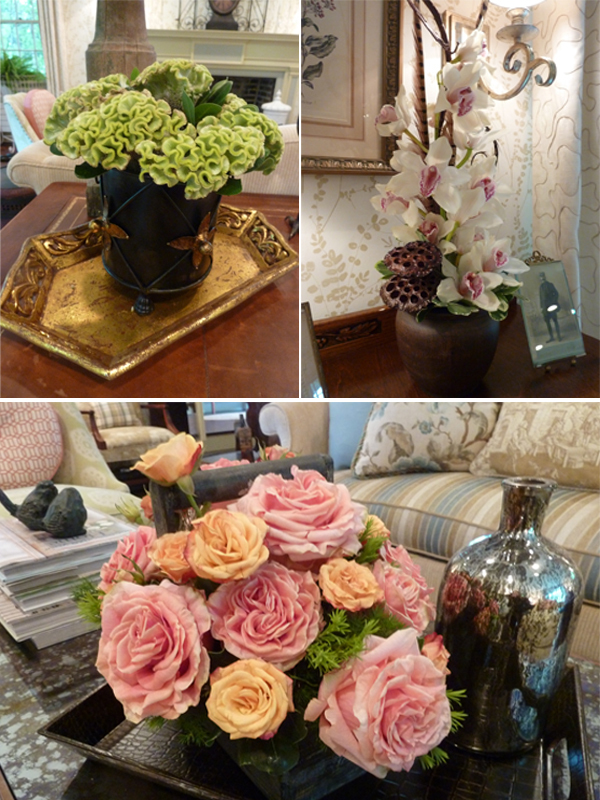 Even his floral vignettes, with plants from Gary Z, express the successful intermingling of styles and periods. 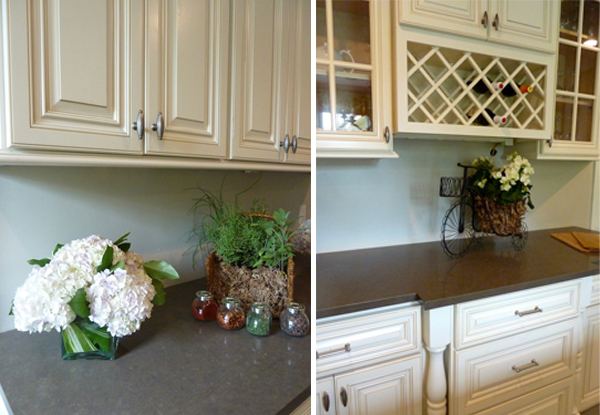 Off-white glazed cabinetry echoes the architectural details of the house and offers abundant storage, wonderful for functions and hopefully allowing the arboretum to increase its room rentals. Do stop back on Friday as we move upstairs to finish our look at the arboretum’s lovely show house. This entry posted in design, furniture, garden, interior design. 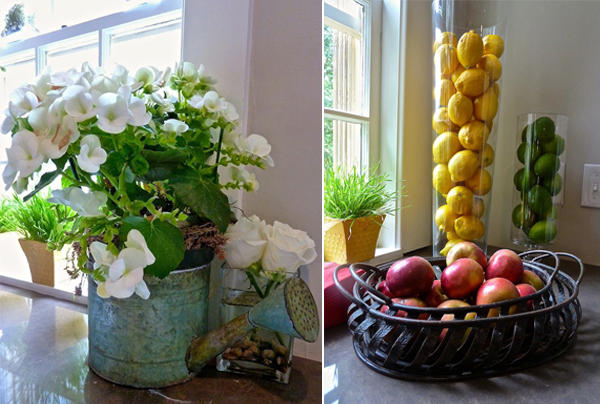 Entry Tags: Gardens, interior design, Steve Watson Interior Design, Village Tiles Bookmark the permalink. Another gorgeous tour. Can’t wait to see the upstairs. The living room is absolutely gorgeous! 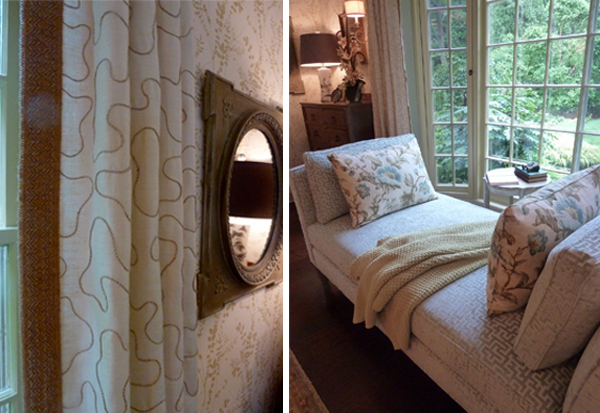 Love the walls and the fabrics used there. And the skirted powder vanity is lovely! I like the arched doorways and the windows, the bones of this place look great. That table in the foyer looks amazing. Hi Stacey, These arboretum posts have me pondering how I can bring more of the outside into our home. Summer is too short, and I find myself very reluctant to be inside right now, which means nothing gets done. Perhaps if I had more of the outside indoors, I’d be a bit more productive. Looking forward to seeing more on Friday! Hope you are enjoying the week! I’ve said it before, you have the best job! I’m loving this private tour! This was beautiful! It’s fun to tour this way if you can’t really be there! I’m glad you shared this with us! If you hear of anyone with a wonderful iron garden bench we are on the search for my shop for one to sell! Our supplier has quit making them and there are none to be found that we love! Can’t wait to see the rest of the tour! Have a wonderful Thursday! 78 queries in 0.658 seconds.